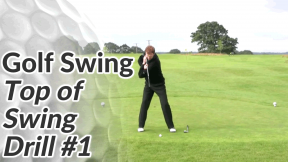 For the right-handed golfer, you’ll see a lot written and talked about the position of the left hand – particularly at the top of the backswing. 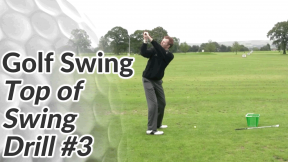 Focusing on your right hand helps you to get the club in an ideal position at the top (not too flat or what we call ‘laid off’ and not too steep). 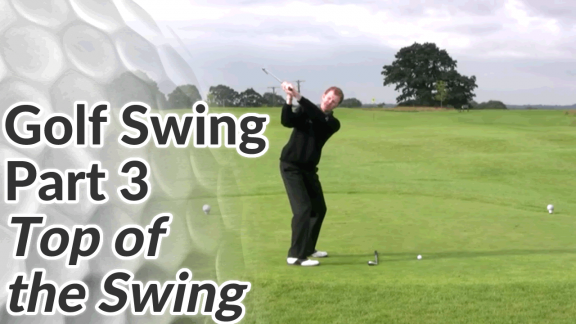 This in turn will allow your downswing to travel on the most efficient path into the ball – with the net result being a better ball strike and more consistent golf. 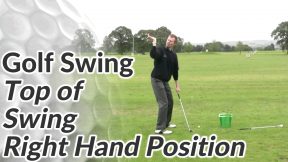 It’s also quite easy for most right-handed golfers to focus on, and alter, their right hand position (and vice versa for left handers), so you should find this checkpoint easy to work with. 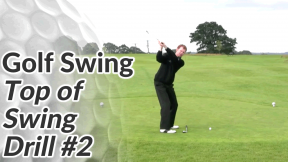 At the top of the backswing, the right elbow should be bent at slightly more than 90 degrees. The right wrist should also be bent at about 90 degrees so that the palm of the right hand faces directly at the sky (back of the hand is parallel to the ground. 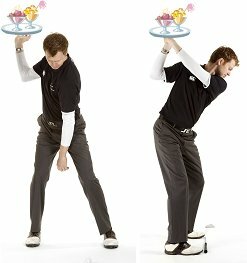 Your right elbow should be below the right shoulder. A good analogy is to think about how a lot of waiters carry a tray of drinks.